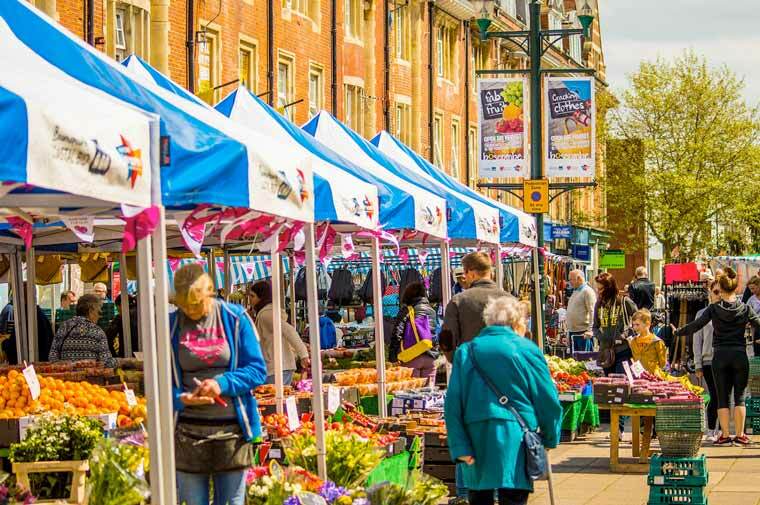 Bournemouth Coastal Business Improvement District is supporting Boscombe Market’s 25th anniversary with a special ‘Making Markets Matter’ event highlighting the importance of local markets on Saturday 9 June. The Mayor of Bournemouth, Councillor Derek Borthwick, is set to join local businesses and Bournemouth Coastal BID for ‘Making Markets Matter,’ a special community event on 9 June in celebration of a market that has helped to attract visitors to Boscombe for over 25 years. The event on Boscombe precinct, will feature a variety of giveaways, and family-friendly activities whilst seeking to promote the importance of local markets. Established in 1993, Boscombe Market takes place twice a week, on Thursdays and Saturdays, and offers a variety of fresh products. Supported by the Coastal BID, the special ‘Making Markets Matter’ jubilee celebration aims to draw even more visitors to Boscombe and encourage people to shop locally. The day’s programme of events will feature cooking demonstrations, face painting, competitions – including a cash prize of £101 – and a basketball shootout. In the lead up to the celebrations, a new ‘Love Your Local Market’ campaign has also been introduced which aims to add a new dimension to the regular markets and improve footfall. Start-Ups are also encouraged through a new Start Up Zone which enables new traders to try a ‘Table for a Tenner’ and experience the market whilst adding variety and diversity.